Procuring a property loan can be a knotty thing to do nowadays. It involves going to sundry banks, dealing with various executives, going through variegated forms considering the pros and cons of each form and bank and then making a decision. Not to mention this is an extremely tiresome and tedious process. So to save you from all the hassle and nuisance, we at Arth Realty, situated in Pune, Maharashtra have come forward to offer property loan consultant services. We offer these services for residential property loans, commercial property loans, home loan and loan against property. 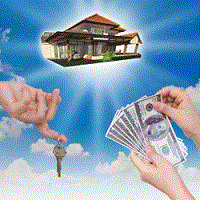 We provide loans from all banks and the main area of operation is Pune.